A custom poster is an integral part of your trade show displays. Along with the other large format printed pieces, it’s purpose is to catch the attention of people passing by or get the attention of people from a distance. 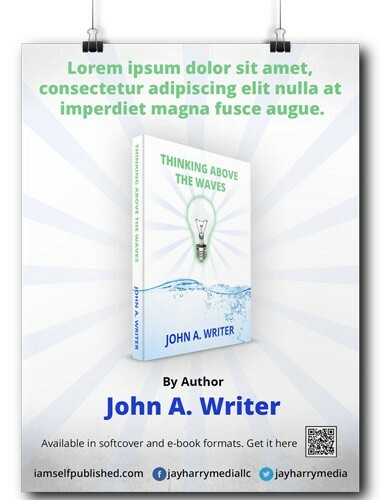 Your custom poster will feature the website address, social media profile usernames and a QR* for direct access to your book from the potential buyer’s mobile device. Includes a quantity of 25 posters.